HERE WE GO LOVE! is getting it’s UK release in the next couple weeks!! And you can get still get in on the ground swell of fan support for the album at PLEDGE MUSIC. I am the most excited anyone has ever been about our PledgeMusic campaign! I have always enjoyed interacting with the band’s fans, and this Pledge campaign provides us with a tremendous opportunity for even greater hi jinks and connection! Over the next coming weeks and months, we will take you through the laughter and joy, the pain and fear of making a pop record, from early dark brooding fumblings to its final triumphant and glorious release! Ahhh! Will it be like making sausage or political compromise, or will people behave because there are cameras around?! Haha! Become a part of this adventure and find out, by being an artistic benefactor, a modern day Medici to this monumental project! The songs have been hand picked from a cauldron of passion, cuddled for endless nights, then tested for connectivity in front of selected crowds, and are now ready to be fully realized and revealed! I would be as pleased as punch if you would join us on this journey…. A portion of your Pledge will go to Doctors without Borders, a wonderful group that bring comfort around the world, wherever needed. Compassion in the face of cruelty, courage in the face of fear, we are proud to stand with them. 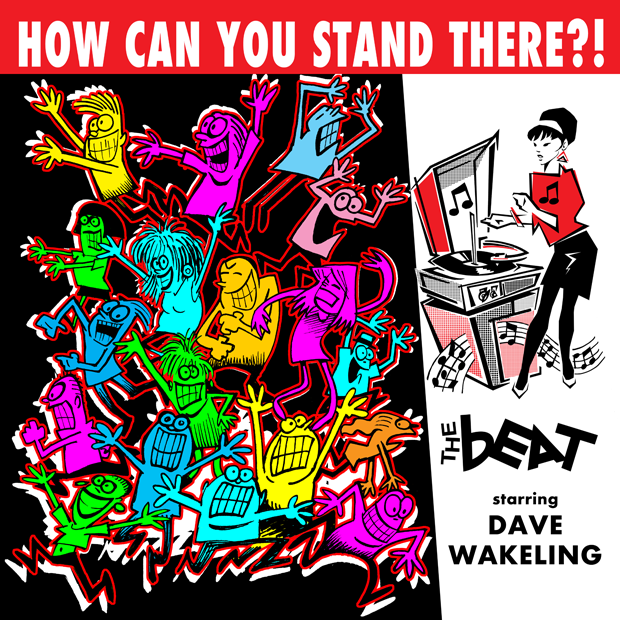 There are STILL tons of great rewards available for supporters, including such things as signed vinyl copies of the album, prints from the extraordinary and world renowned artist HUNT EMERSON (originator of the Beat Girl! ), and much more!! We’ll be posting updates here and on Facebook as the release draws closer, so be sure to keep checking back in! 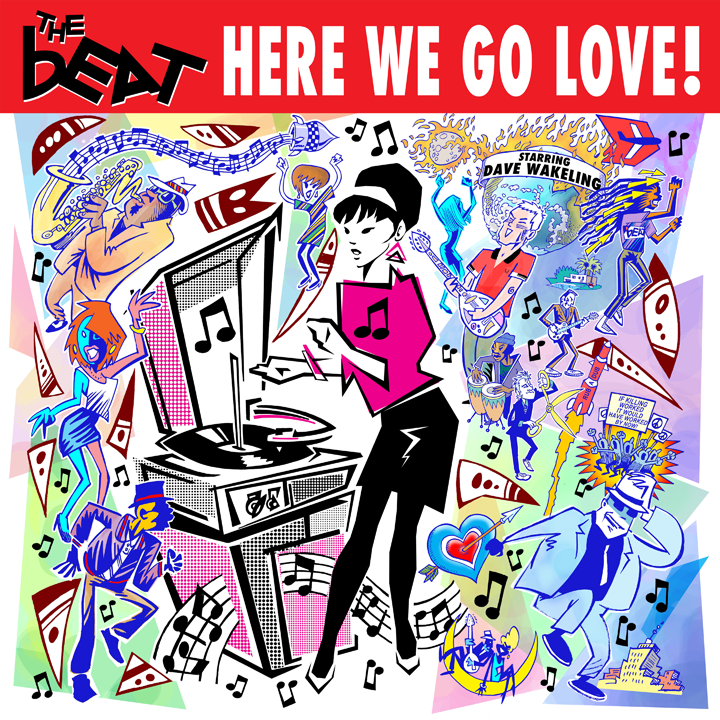 We’d also like to debut the UK ALBUM COVER for HERE WE GO LOVE and SINGLE COVER for the first single, HOW CAN YOU STAND THERE?!! 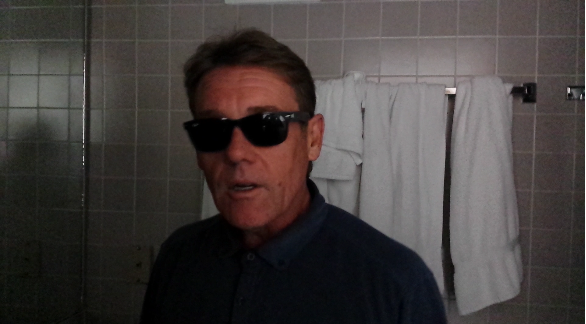 The band thanks you in advance for your support and I’m sure it’s bound to be a trip!